Frequently the fate of nations, and by extension history, has been writ by the ambition of a single man. Caesar, Alexander, Napoleon, the list goes on. Of course, in addition to being driven, all of these men have another thing in common; people remember them. This is not true, in large part, for John Scott, whose ambition shaped the fate of both the Dutch empire and the English kingdom. John Scott was most likely born as the son of a bankrupt miller in Ashford, England sometime in the late 1620’s or early 1630’s. Sometime between 1641 and 1643 he showed up in Massachusetts as an indentured servant. Some thought he had been brought by his mother, who being desperately poor sold him. Scott himself would later claim, while trying to ingratiate himself to King Charles II, that he was being punished by parliament for cutting the saddle straps of parliamentary forces during the English Civil War. He was sold first to the Southwick family and then to Emmanuel Downing, a notorious child trafficker of the time. He spent a great deal of time in Salem, Massachusetts until, according to legend he killed a young girl in a tragic hunting accident. Around 1657 he arrived on Long Island and married Deborah Raynor and was granted a small farm. This was not enough for Scott though, and he soon set out for England to see if he could better his fortunes. By the time he arrived in London, posing as a gentleman, in 1660 he was claiming to own a third of Long Island. Based on that, his “service” and a new story about his father’s tragic death fighting for the crown during the Civil War he petitioned King Charles II to make him governor of Long Island which Charles denied. He was however accepted by the king as an advisor on Long Island and New Netherland based in large part on a book he showed to many of his acquaintances entitled, Some Helps for the Indians, Shewing them how to improve their Natural Reason to know the true God and the Christian Religion by Abraham Pierson. Every copy but one bore a title page that read “examined and approved by Thomas Stanton, Interpreter General to the United Colonies.” Thanks to a less than scrupulous printer Scott’s copy had a title page that read “examined and approved by that Experienced Gentleman (in the Indian Language) Captain John Scott.” In that position Scott encouraged Charles to take New Netherland for himself. During his time in England Scott met John and Dorthea Gotherson. Dorthea was a descendent of the Scotts of Scott Hall in Ashford. John Scott claimed to be a cousin although in reality was of no relation. He sold her husband non-existent land in Long Island for several thousand pounds and outright stole about £200 of her jewels. It’s also possible that he seduced Dorthea. When he returned to Long Island in 1663 he also brought their son, whom he had promised to educate and bring up into business. As soon as he arrived back in the colony he sold the boy into indentured servitude. Scott, who was now going by the title colonel having promoted himself at some point while crossing the Atlantic, went to the settlement of Setauket and presented the people there with a sketch of the king and a large glob of wax he claimed was the king’s seal and told them that their land now belonged to him and gave them completely invalid patents for other land. At about the same time several of the towns on the eastern end of Long Island banded together to resist the threat of being consumed into the Connecticut colony which would have ended their relatively free existence. They asked Scott to approach the Long Island towns about coming under their control. Instead, Scott somehow got himself named president of this assembly. He had probably heard rumors that the English were planning to attack New Netherland and hoped to be named governor of Long Island by being in control of it when the fleet arrived. He promptly took the men of the towns who had fashioned themselves into a militia and attacked the Dutch towns on the western end of the island. He declared that he would personally run through Peter Stuyvesant and showed a document that claimed all of Long Island for England that was completely valid except that it lacked the King’s signature. Scott’s actions on the western end of the Island brought the conflict of the eastern town’s with Connecticut to a head and Scott was arrested by Connecticut but escaped from jail in July of 1664. In the meantime Charles II had decided to go to war with the Dutch, in part based on Scott’s reports to him while he was in England. He sent out two forces; one to attack Dutch holdings in Africa and one to attack New Netherland. When the Dutch Ambassador asked why the force was headed to the colonies he was told it was to deal with the unease on the eastern end of Long Island. In August, 1664 when the English took command of the colony Scott was leading a company of militia. Scott tried to ingratiate himself with Richard Nicholls but Nicholls quickly saw through Scott. The settlers of Setauket realized they had been duped by Scott. Nicholls ordered him to show the documents with the King’s seal in court but Scott fled the colony in October. All of his possessions in the colony were seized and his wife was granted a divorce. 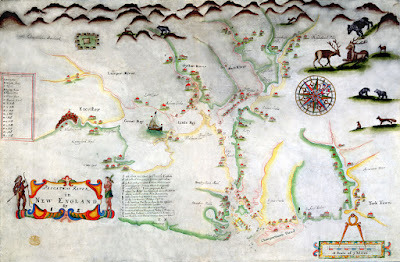 Dorthea Gotherson’s son was found and freed in 1668. At this point Scott began to blame James, the Duke of York, for all of his problems. Scott fled to Caribbean where he was placed in command of English troops during the Attack on the island of St. Kit’s. When the attack went poorly for the English he was first caught by a superior officer curled in the fetal position at the foot of a cliff while his men stood about with no officer to command them. Next he was caught naked and preparing to swim for it. Embarrassed, he redressed only to fake a wound and have himself carried out to the English ships off shore. What’s more, when he was sent a month later to negotiate for the release of English and Irish prisoners taken during the attack he deliberately scuttled the talks by insulting the French when he realized that some of the prisoners would be able to testify to his cowardice. Scott was sent to England with a report of the attack but when the war ended the following year, the former prisoners swore to Scott’s actions and he was court martialed and condemned in absentia for cowardice. In late 1667 he once again turned up in England and was quickly imprisoned for debt. He once again slipped out of prison and discovered a talent for copying maps. This somehow won him an appointment as Royal Geographer. This position also disappeared quickly when Nicholls returned to England and told the real story of Scott’s time in the colonies. Scott fled again. He next turned up in Holland and declared himself a major general (although the only rank he ever held in the Netherlands was colonel) and claimed to have been born in Leyden. He soon befriended many of the remaining English anti-royalists from the Civil War living in exile in the Netherlands. The Dutch gave him a command, which he quickly defrauded by accepting their pay and then claiming it was lost. 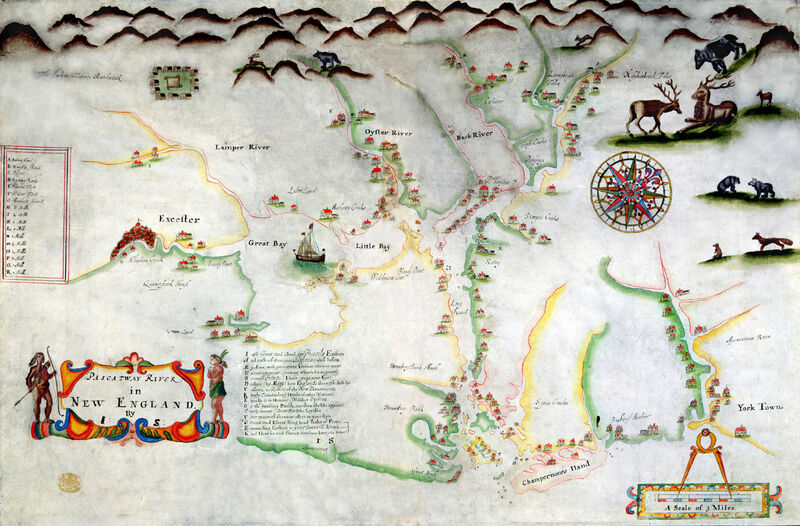 He also began to sell copies of maps he had brought with him from England, some of which detailed harbors and defenses around England. This was one of the direct causes of the Third Anglo Dutch War. When the war broke out Scott offered his services to England as a spy but was shortly caught by the Dutch. He offered them a list of other English spies if they let him stay. The list of “spies” provided by Scott turned out to be a list of innocent merchants to whom he owed money. The war ended when Charles turned on France, with whom they had been allied. Scott who was now out of favor with both the English and the Dutch traveled to Paris. In 1679 Scott again turned up in England, this time as a witness against Samuel Pepys, Secretary of the Admiralty, who was being accused of being part of a popish plot to take control of the English crown. 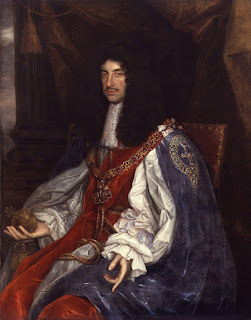 Both Charles II and his brother James, the Duke of York were suspected of being Catholic. James was in fact exiled from England at that point because of his Catholic beliefs. 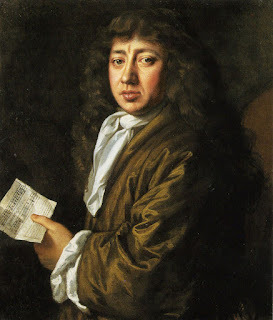 Pepys was a great ally of the Duke and anti-Catholic members of parliament were looking to remove him. Scott was the perfect witness because he never had an issue with stretching the truth. He was promised great rewards for his testimony but that soon fell apart because of Pepys meticulous research into Scott’s background. When the plot completely fell apart Scott was forced to flee again. While hiding from Pepys wrath Scott had too much to drink one night in a tavern. He called for a coach but when the coachmen told him how much the fare would be to his lodgings; Scott became quarrelsome and ran the coachman through with his sword. Scott was immediately arrested but escaped and fled to Norway. He would return to England in 1695 and most likely died in 1696. England and the Netherlands had gone through a monumental shift before that happened though. 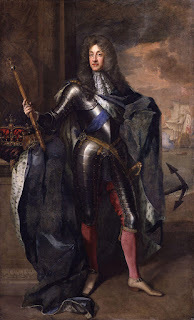 In 1685 James, Duke of York became King James II when Charles died. This was too much for the anti-Catholic members of parliament and they removed James from power in 1688. One of the pieces of evidence they used against the King was the Third Anglo Dutch War, which was evidence of their Catholic proclivities because why would a protestant King wage wore on another protestant king? Parliament turned to the Netherlands and William of Orange who was married to James’ daughter, Mary. They invited him to become King of England. Under William Parliament and the crown were on the same page for the first time in almost a century and many of the most important laws regarding liberty in England were passed. John Scott craved power and recognition as a gentleman. By seeking to achieve this through deception, theft and taking advantage of world politics he played a pivotal role in the 17th century.